The distal radius is one of the most commonly fractured bones encountered in the emergency department. Knowledge of structural/radiographic anatomy and common reduction/splinting techniques are important skills to possess in the acute care setting. 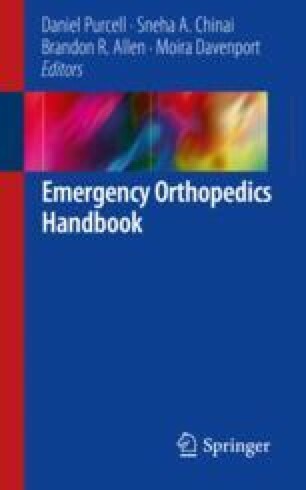 The following section will describe the approach to initial evaluation, associated techniques of intervention/immobilization, as well as avoidance of potential pitfalls in their management. Wheeless’ Textbook of Orthopaedics. Trauma and Fractures Menu. Data Trace Internet Publishing, LLC. Retrieved from: http://www.wheelessonline.com/ortho/trauma_fractures_index.